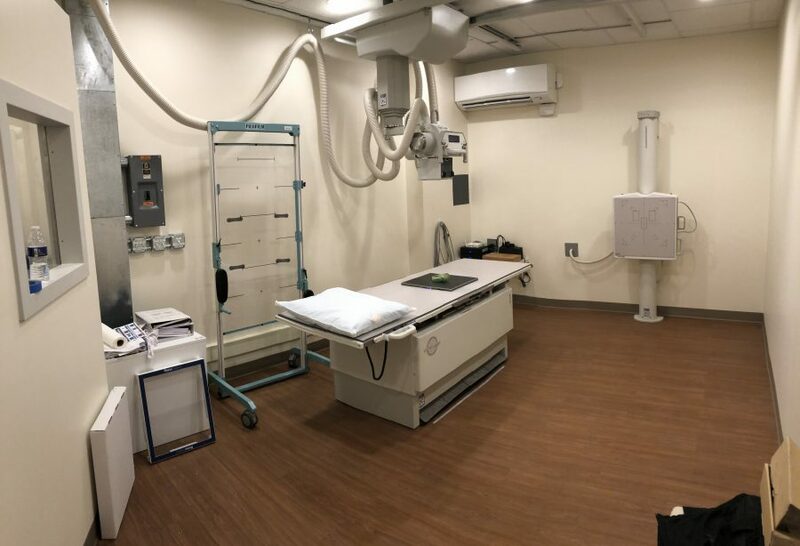 This weeks project was a new orthopedic clinic in Bucks County, PA. We installed a new CoRE Labs 65kW High-Frequency radiographic system with Fuji DEVO wireless DR system. 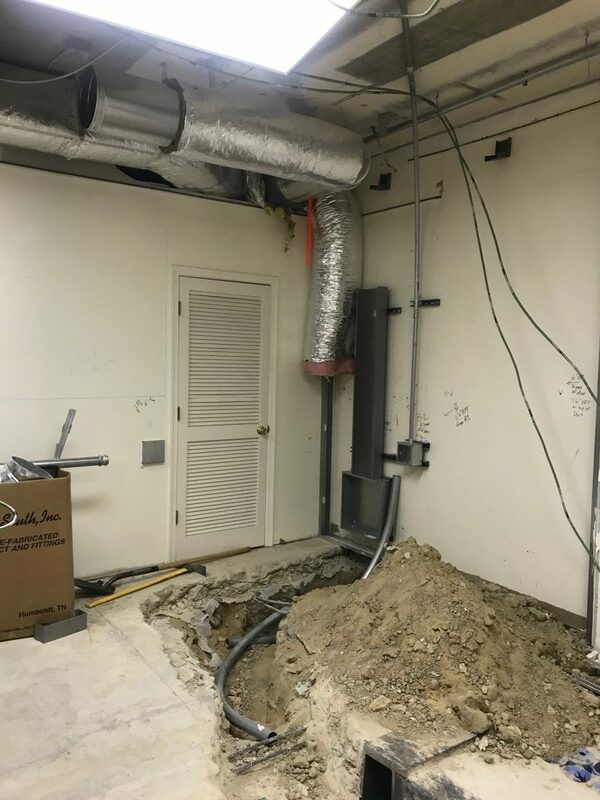 This site had its challenges due to existing mechanical equipment above the space. We had to design a freestanding overhead steel support, with a finished height of 8’3″ AFF. No problem for the CMS team! Drop us an email or call @ 800-333-5643 to discuss your unique imaging needs. 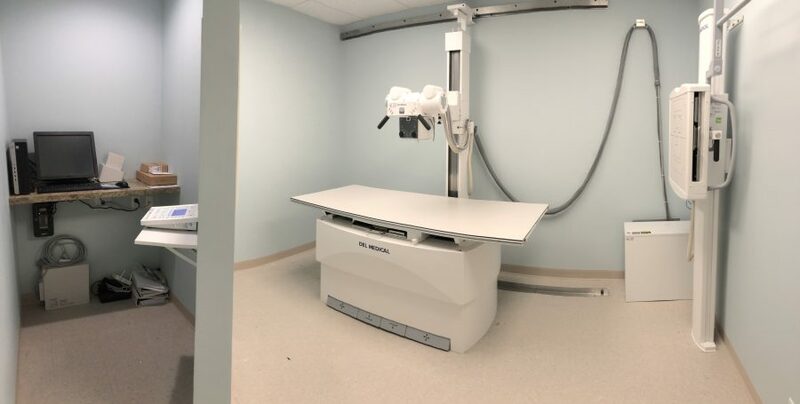 We’re also expanding our service portfolio to include MRI & CT service, call for a quote today! 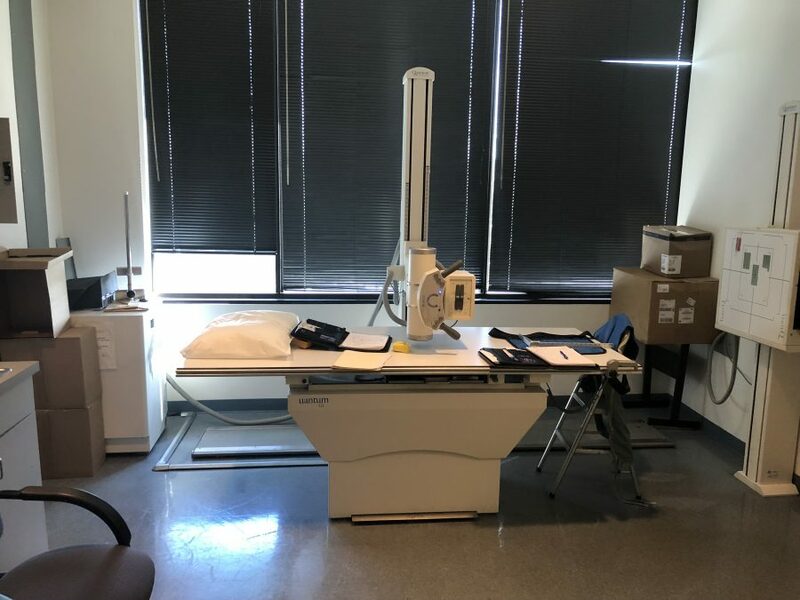 Core Labs HALO OTS with their new GEN 2 Atlas radiographic table. CPI CMP200DR Generator control with Fuji FDX workstation. 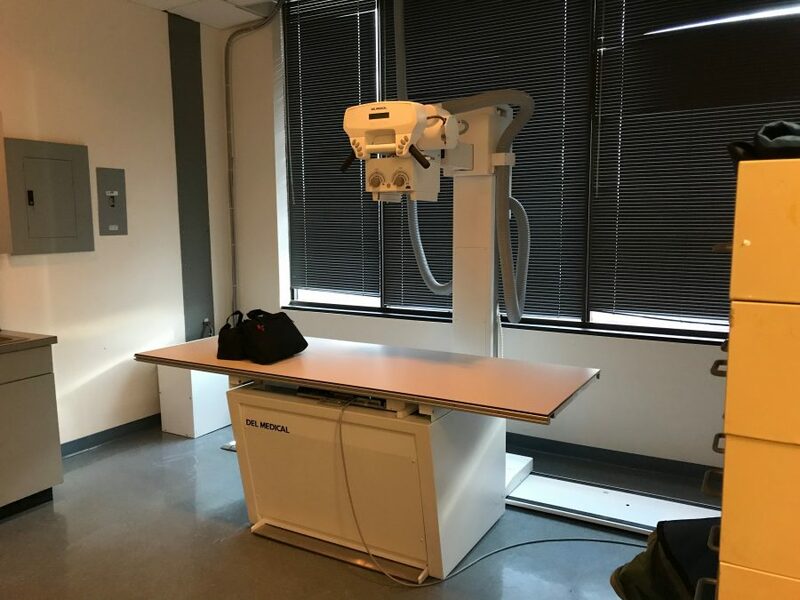 The imaging staff at this Maryland Hospital is loving their new Fuji FDR GO Plus digital portable X-Ray system. What an improvement from their AMX IV. 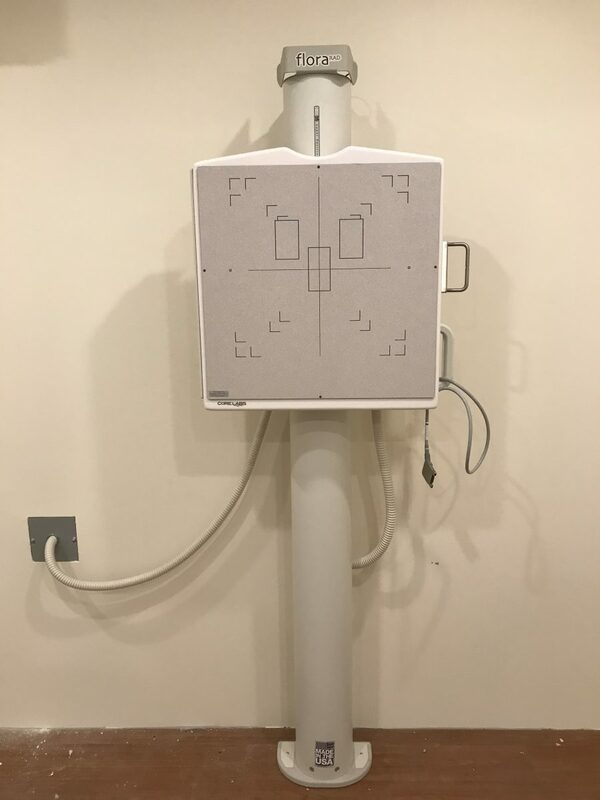 The cesium DEVO II wireless DR panel features the patented Hydro AG coating killing 99.99% of bacteria, an absolute must for any hospital. Contact the CMS team for your demo today, 800-333-5643. 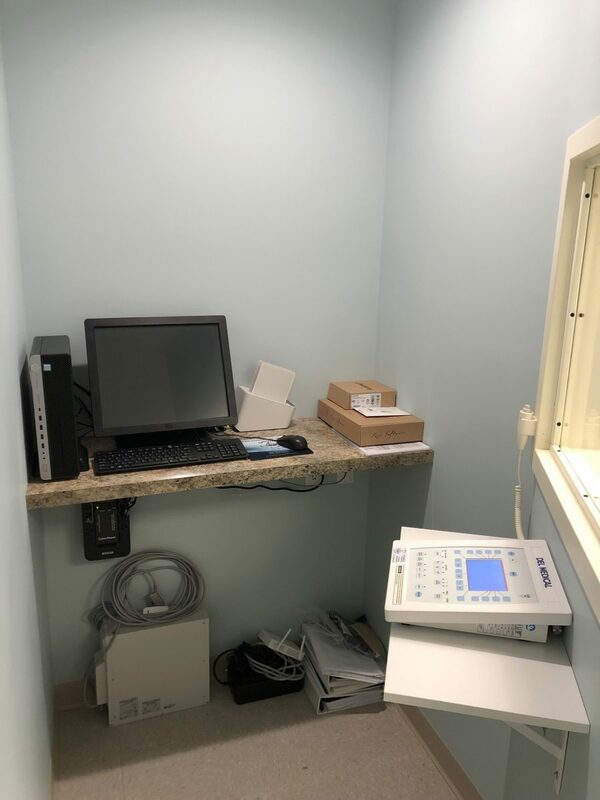 The CMS install team is still at it, this weeks project was a new Urgent Care. 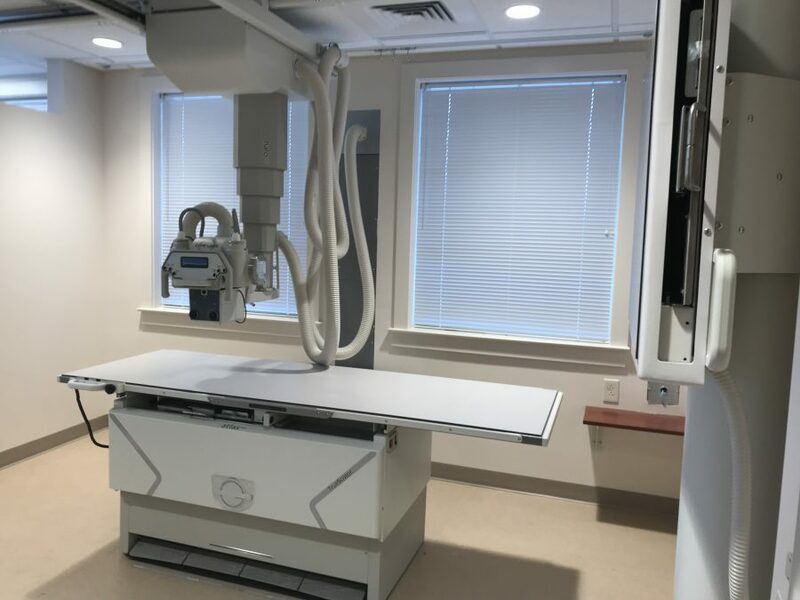 We provided this clinic with a new 50kW Del Medical radiographic system with Fuji DEVO wireless DR and Paxerahealth cloud PACS. We even supplied the lead construction materials and autoclave. Del Medical EV800 table with Floor/Wall tubestand. 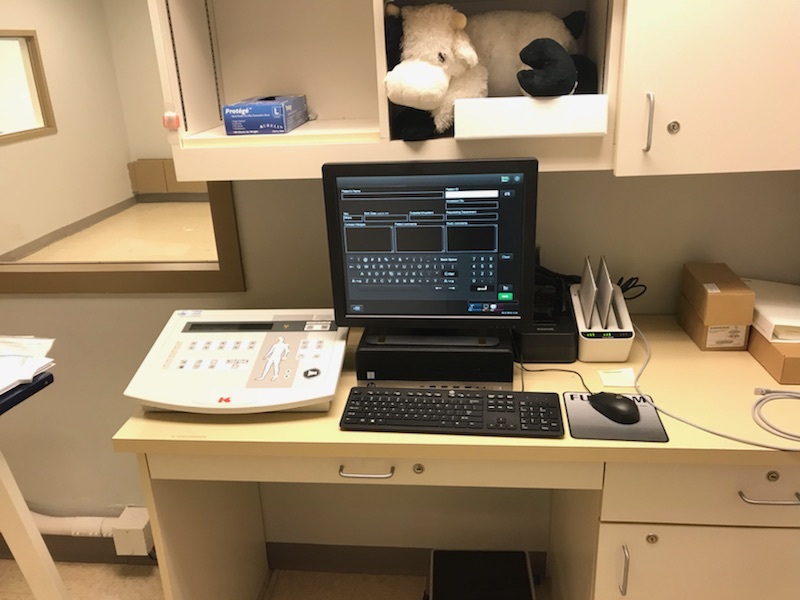 CPI CMP200 generator console and Fuji FDX V.11 workstation. Del Medical VS300 wallstand with CPI CMP200 50kW H/F generator. New Year, another new project! 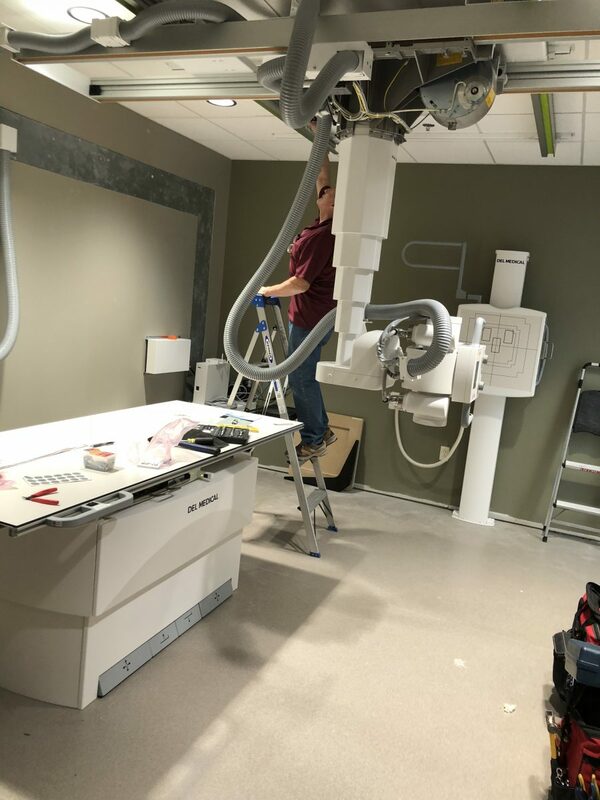 2019 has been busy for the CMS Installation team so far. 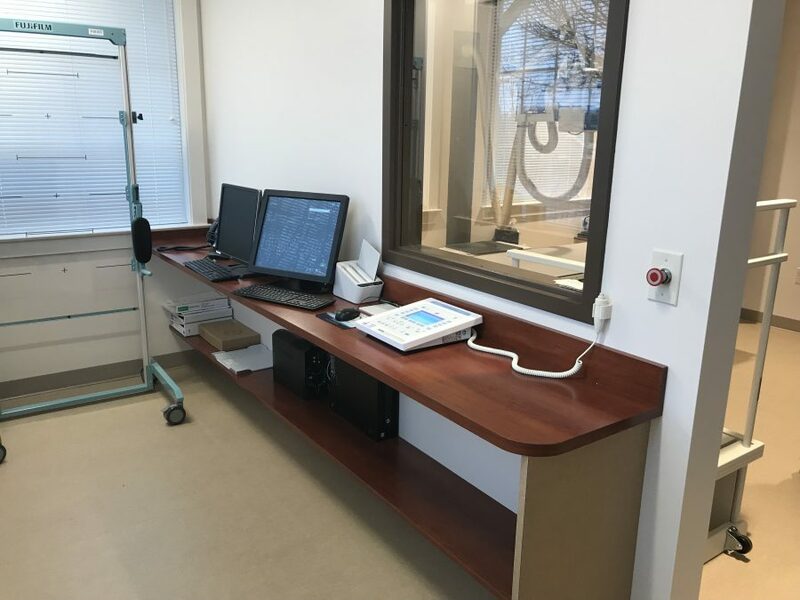 We just wrapped up the first project of the year at a new orthopedic clinic. We provided this clinic with a new CoRE Labs/Fuji DEVO ES package with long-leg/scoli stitching. The NEW Fuji DEVO ES is the replacement to the original DEVO. It features a stronger frame, lighter weight and its more ergonomic. Contact the CMS sales team today for your in office demo, 800-333-5643. Core Flora wallstand with dual top locks so the tech doesn’t have to bend over. Collimare LED collimator light is easy to see in any light condition. 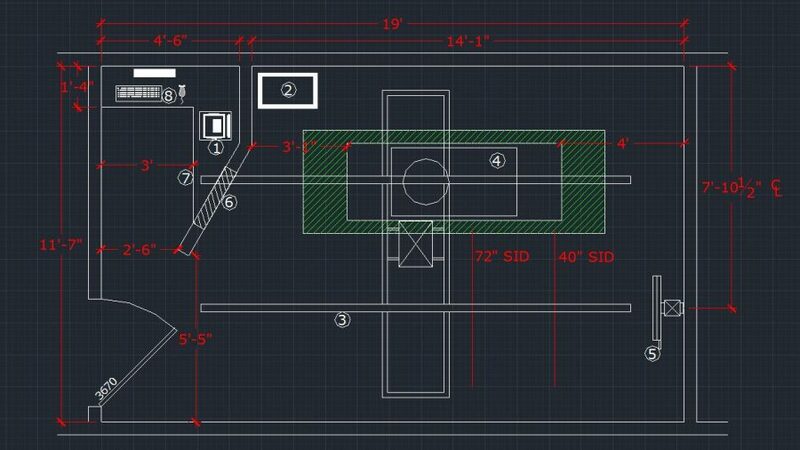 This is where it all starts, the initial layout drawn by CMS, Inc. 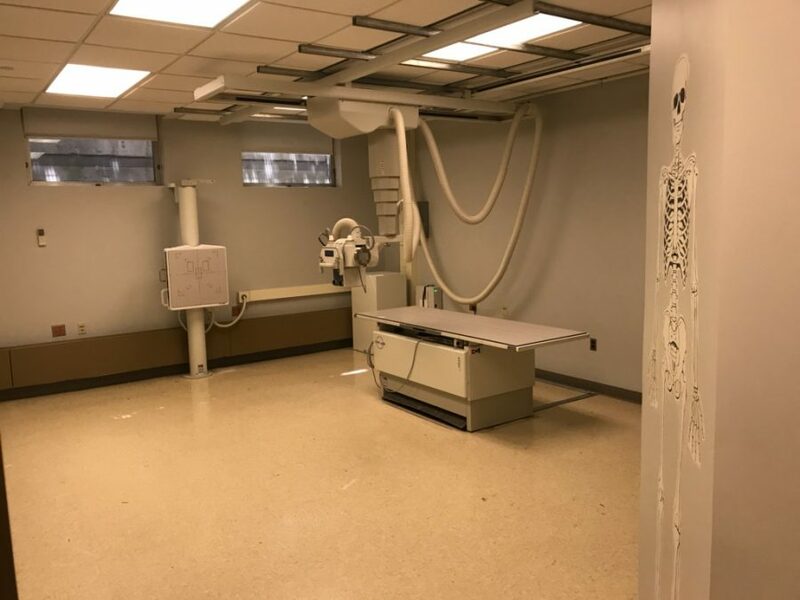 Remove a Linear Accelerator? No problem. Re-design the space? No problem. 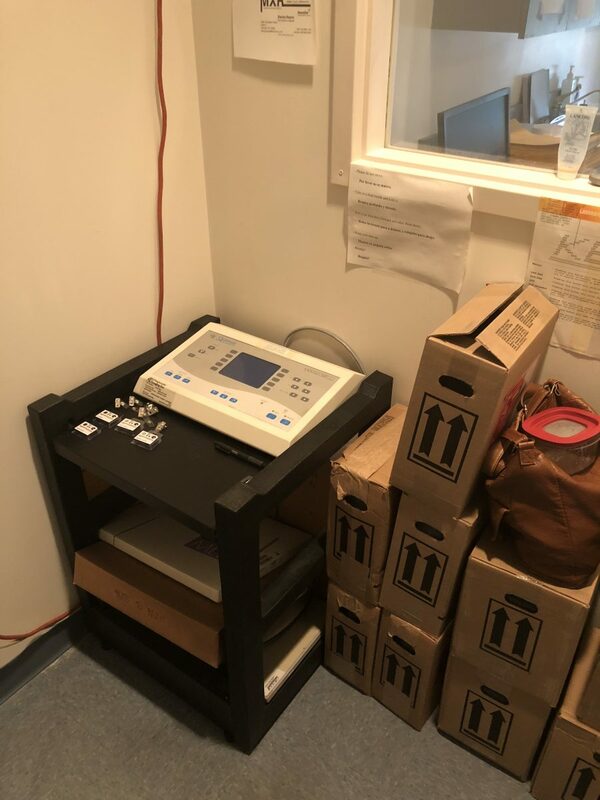 Install a new orthopedic digital X-Ray? No problem. We worked hand-in-hand with the construction team to ensure a seamless project. With our 32nd anniversery coming up, contact the CMS team for any upgrades or new locations for your practice. 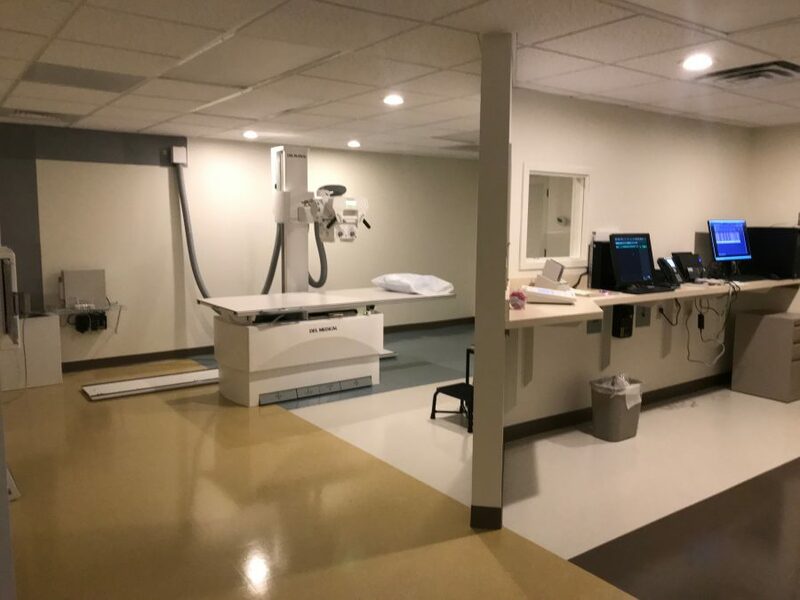 The CMS team just completed another successful project at a new Orthopedic clinic in Worchester County Maryland. 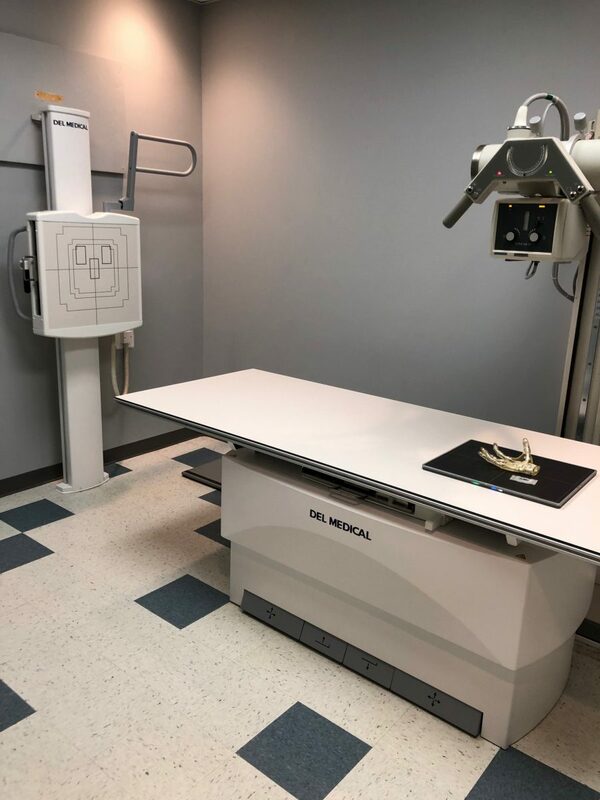 We provided this clinic with a new Del Medical Digital Floor Mounted system with Fuji DEVO wireless DR system with long-leg stitching. Operators control area with CPI console and Fuji FDX console. 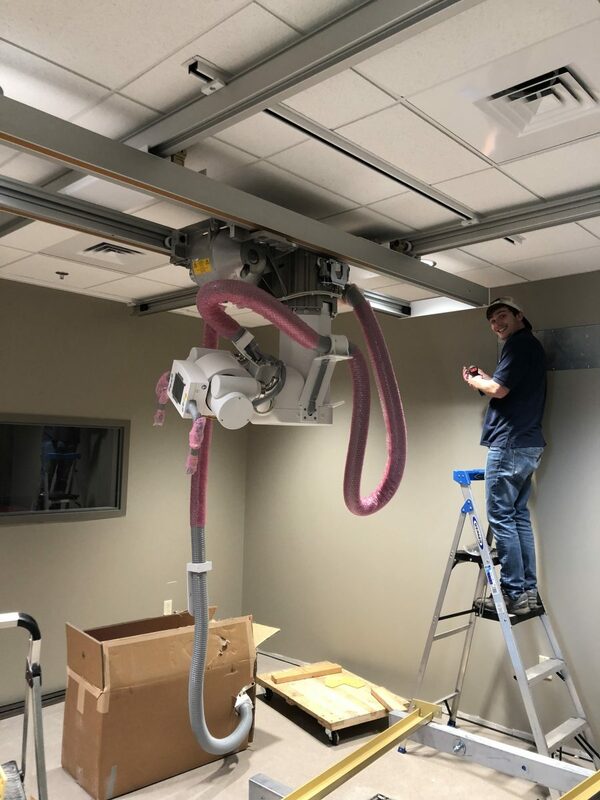 Labor Day doesn’t stop the CMS Install team from another successful project. 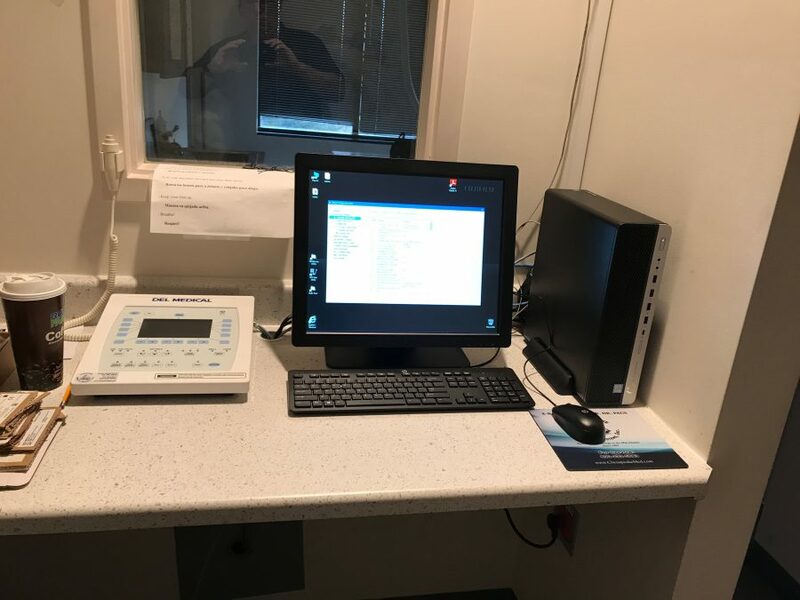 This orthopedic clinics imaging department in York County Pennsylvania is happily using their new system. 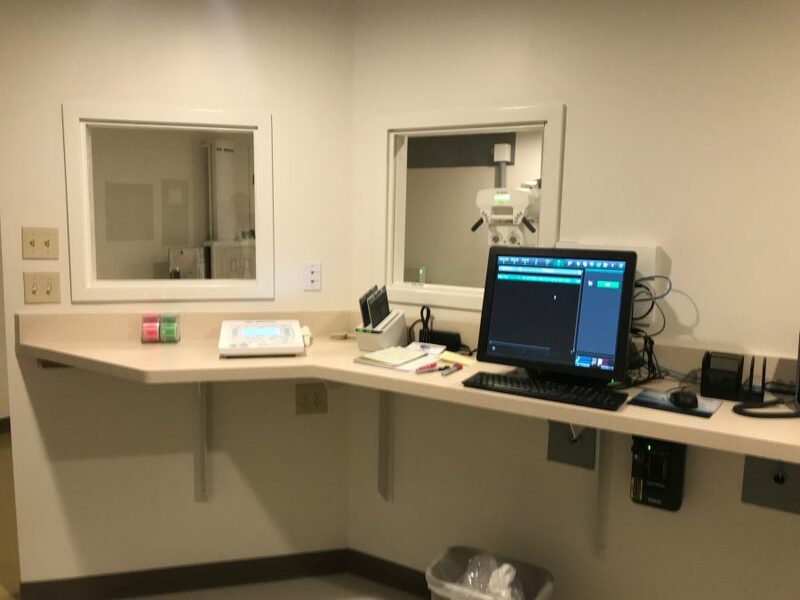 This was a tricky project as the new space was built over the existing building without interfering with patient care. 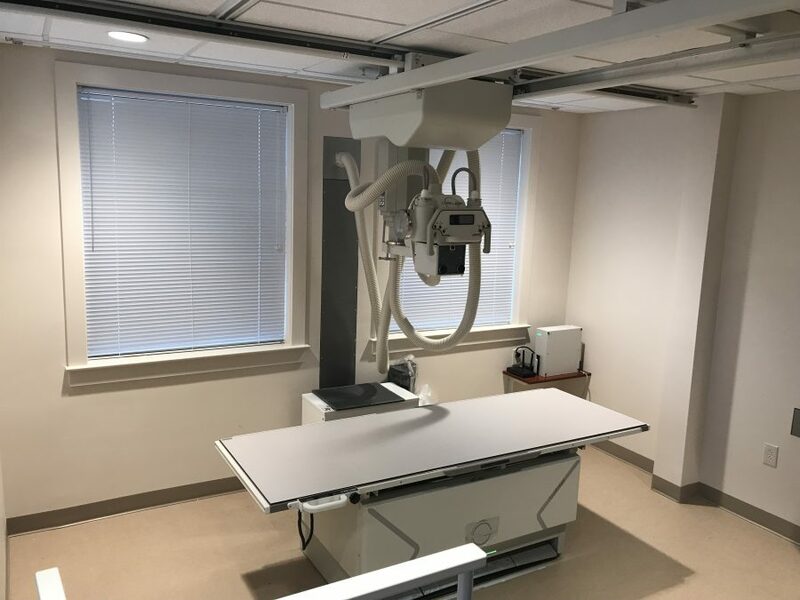 We provided a new Del Medical OTC12 radiographic system, consisting of a 65kW CPI H/F generator, Del Medical EV800 table, VS300 wallstand, and Fuji DEVO wireless DR system with Long-leg software. 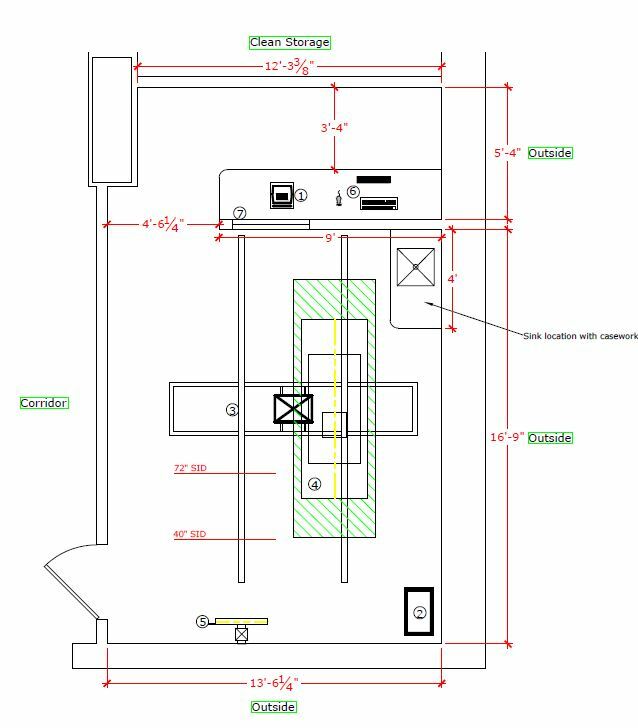 CMS takes great pride in our work, from the in-house site plans to delivery to placing it in service. 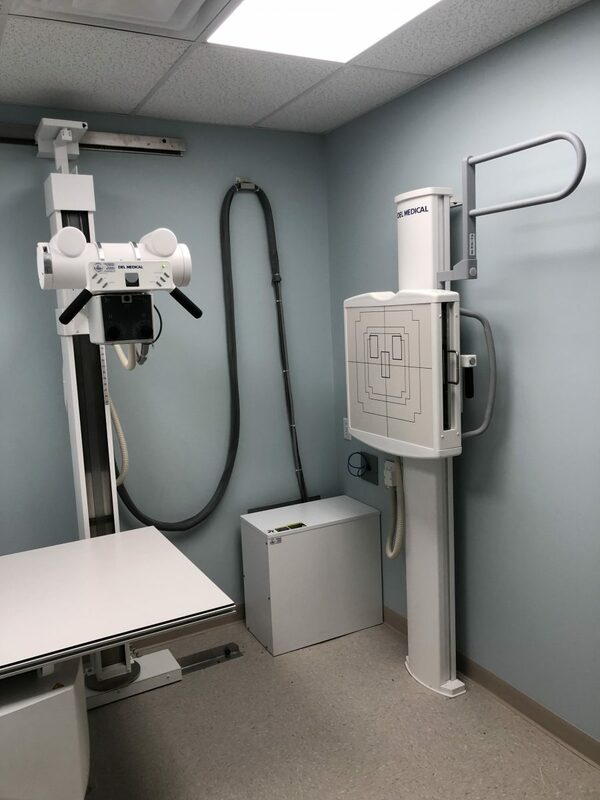 Contact us today to upgrade or add a new system to your imaging department, 800-333-5643 or CLICK HERE. Install day #3, the system is coming together. Finished product! Del Medical OTC12 system with Fuji DEVO DR. The students at this Montgomery County Pennsylvania Community College will be surprised when they come back from Summer break! 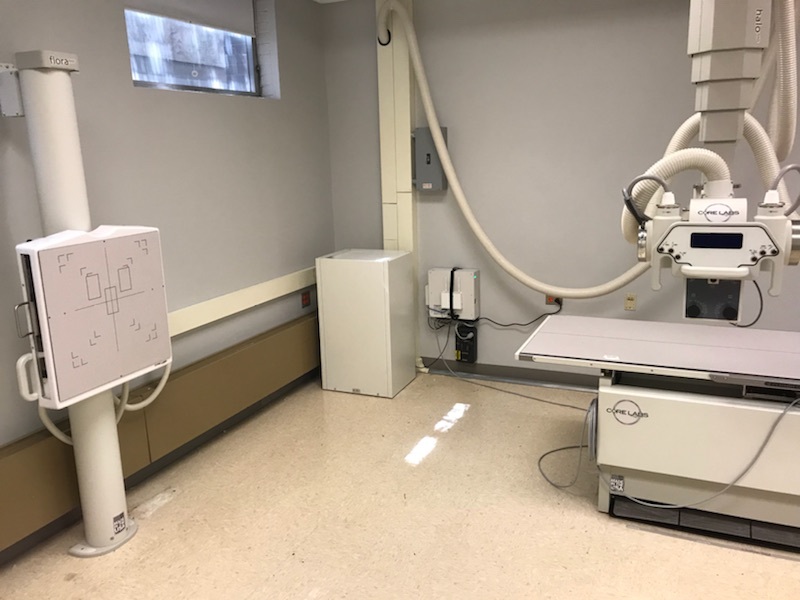 The CMS team just completed installing a New CoRE Labs with Fuji DEVO wireless DR digital radiographic system. 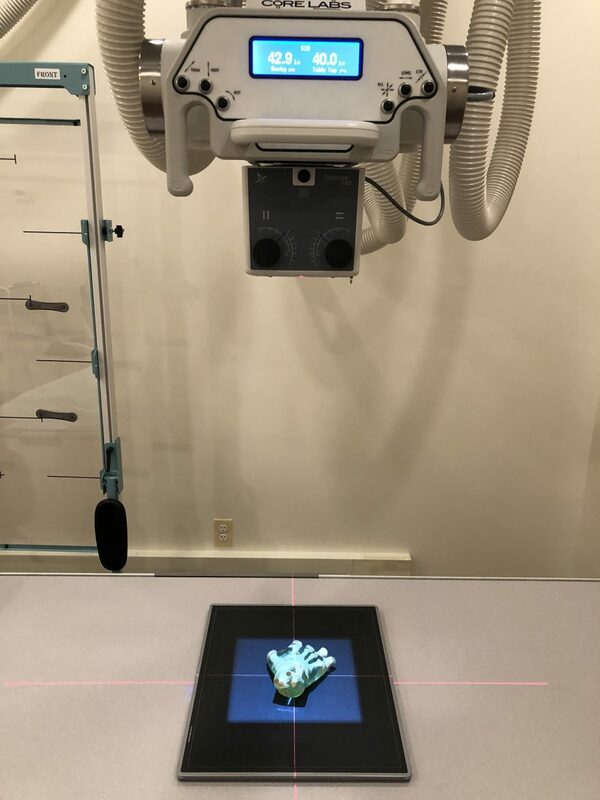 This is a huge upgrade from their old CR system and dated X-Ray. 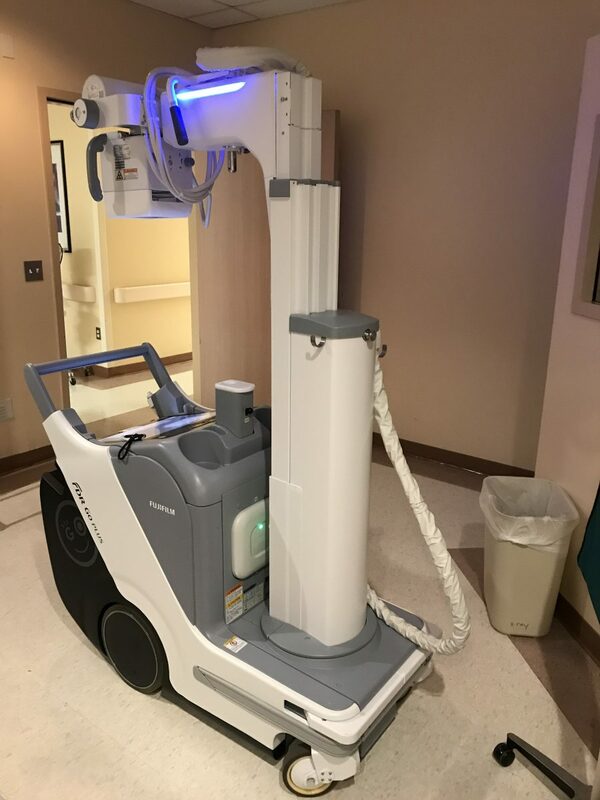 To upgrade your radiology program, call the CMS team today! 800-333-5643 or click here. 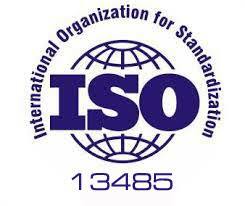 Chesapeake Medical Systems, Inc. is deep into the ISO 13485 process, what a task! Part of this is ensuring our 1000’s of customers are satisfied with our services. Click here to let us know how were doing! Or you can always call us @ 800-333-5643.